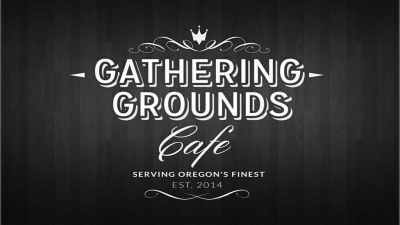 A Keurig machine can be an ideal option for those who want to move up in the coffee world. 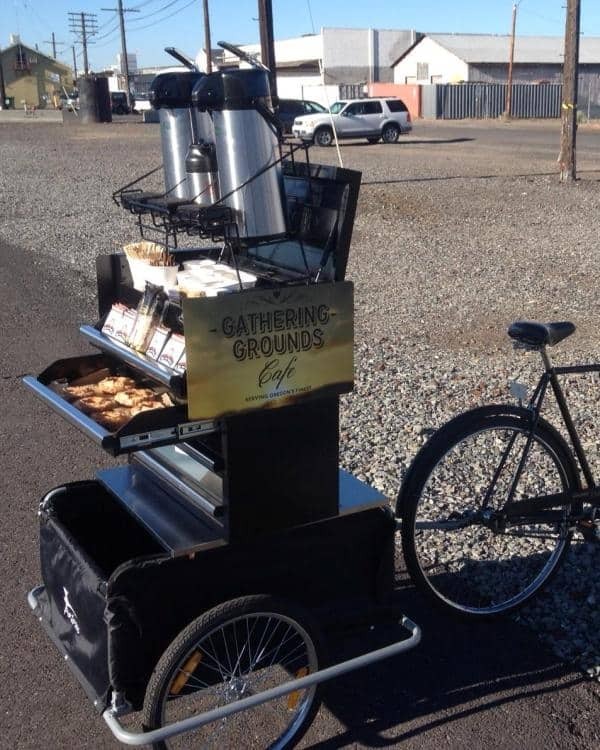 They provide an easy way to get your coffee almost instantly. Many models can also brew other kinds of drinks as well as coffee, such as tea, hot chocolate, juice or even just hot water when needed. If you’re new to using a Keurig, then choosing your first one can be tricky! This is especially true if you don’t know what to expect from these machines. Two great examples are the K575 and the K-Elite, both of which provide some pretty similar features at a very similar price! Both are also significant upgrades to the cheaper K-Select. To help you choose between the two, we’re going to provide information on both models. We’ll also compare them so you can see the differences! Lets Continue on to See What These Keurigs Can do For You! Before we get into the details though I’ll say the Keurig K-575 tends to be slightly cheaper while using a much more modern touch screen control panel. 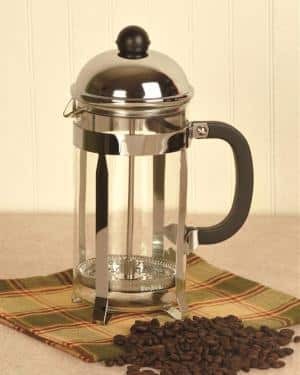 You will have to separately buy a carafe for it if you plan on brewing the larger sizes. You can see full product details and pricing for the K-575 here on Amazon. The Keurig K-Elite tends to get higher customer reviews and you don’t have to learn how to use another touchscreen. Basic buttons we are all used to make this dead simple to use. You can see full product details and pricing for the K-Elite here on Amazon. 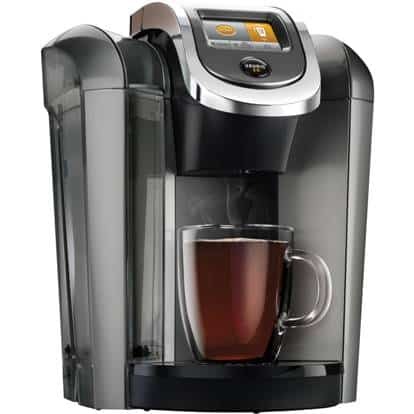 The Keurig K575 is a great option for those who want something that feels modern. It provides a number of features including several drink sizes as well as the ability to control the strength of your drink. The touchscreen on this model is pretty decently sized, at just under 3 inches. You’ll also be able to set the wallpaper on it to suit your unique style. The water reservoir on this machine is also quite large, coming in at 80 ounces. As a result, you won’t need to make frequent refills, which is quite a convenience. The touchscreen on this machine makes it a lot easier to make your selections. With brewing sizes from 4 ounces to 30 ounces, just about any beverage size will be easy to obtain! As a slightly larger machine, you will want to make sure you have the counter space for it. However, when compared to some other similar coffee machines, it’s still quite a compact choice. You’ll also get a one-year warranty that will back you up if there should be any problems. Includes an 80-ounce water reservoir. Allows you to brew K-Carafes and K-Cups. You’ll be able to make several different drink sizes. Provides control over strength and temperature. Touchscreen is large, customizable and convenient. Offers a lot of beverage variety. Can create a plastic smell or taste. The K575 is a machine with a lot of flair, which is great for those who want something a little more high tech. 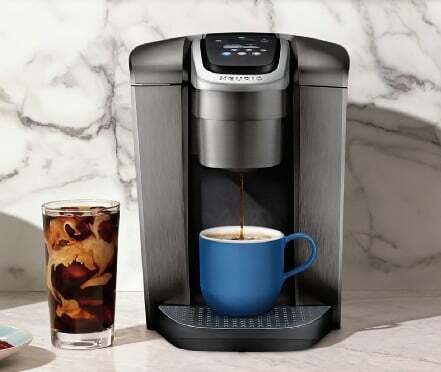 It gives you a lot of beverage options thanks to the ability to brew a wide variety of K-Cups. As a result, you’re unlikely to get bored with the drinks your machine can make! It is important to keep in mind that like other Keurigs, this one only uses K-Cups. However, you can look into reusable K-Cup filters that can help provide some more options. 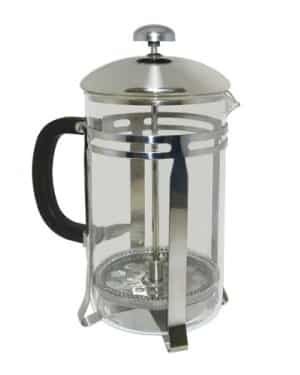 For those who want to make large amounts, you will also need to purchase a carafe as the K575 doesn’t come with one. Click here to see current pricing on the K575 on Amazon. The K-Elite is a convenient device that allows you the automated services and flair you expect from Keurig. 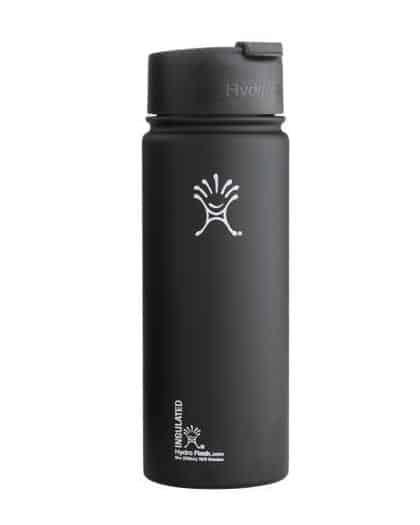 It’s made with a 75-ounce water reservoir, which is only slightly smaller than what the K575 offers. One key difference that comes with the K-Elite is that it doesn’t use a touchscreen. However, the buttons are simple and easy and you’ll still have a decent level of control. For those who want something not quite so technologically advanced, it’s a perfect choice. You’ll even be able to instruct it to create a stronger brew or even an iced beverage! Furthermore, it’s able to provide hot water on demand, which is perfect when you want to make tea outside the machine or use the hot water for a soup. You’ll also be able to rely on a quick response, as it’s able to brew a K-Cup in less than a minute. As a result, it’s a great device for those rushed mornings when you don’t have time to wait for a cup of coffee before work. To make the cleaning process easier, the K-Elite also offers a drip tray that you can easily remove. Like other Keurigs, this one also includes a one-year warranty. Allows you to brew several different cup sizes. Includes an iced setting for when you want cold drinks. Capable of brewing a K-Cup in under a minute. Uses a 75-ounce water reservoir. Drip tray is removable for easy cleaning. Allows you to select a stronger brew. There can be some issues with leakages. Reservoir is slightly smaller than K575. The K-Elite offers easy-to-use buttons rather than a touchscreen, which makes it easier for those who don’t want to get too high tech with their coffee maker. It’s able to make coffee from a multitude of K-Cups, as well as allow you to strengthen or ice down the brew. That way, you’re covered for hot or cold days with the same machine! Do keep in mind that there can be some problems with the water leaking out of the reservoir. That reservoir is also 5 ounces smaller than the K575, so that’s worth taking into consideration as well. Click here to see current pricing on the K-Elite over on Amazon. The main difference between these two machines lies within the electronics. The K-Elite uses simplified buttons whereas the K575 comes with a high-tech touchscreen that you can even change the wallpaper on. As a result, it may also be likely that you have a few more setting options with the K575, including the ability to set the temperature as well as the strength. On the other hand, the K-Elite does include a “strong brew” button, but may not provide those same temperature controls. Consequently, it’s going to be important to keep in mind which features are the most important to you. You’ll also need to keep in mind that neither of these machines come with a carafe, so you’ll need to make sure you get one if you want to brew several cups at once. The good news is, these are pretty easy to get a hold of through Keurig or other retailers. Another important thing to consider is whether or not you’ll want iced beverages. If you’re a fan of iced coffee, tea or other drinks then the K-Elite is a great way to go. Both machines also come with a one year warranty, so you’ll be able to trust that Keurig has you covered for many problems during that first year. When purchasing these machines new, they can be found at pretty similar prices. The K575 tends to come in a little under the K-Elite but not by much. If you choose to purchase them used, you may be able to find them at a good discount but probably still in the triple digits, or less if you get lucky! Due to those similar prices, it’s going to be important to make the choice that will provide the most possible value for you. If that means a more high-tech device, the K575 is a great option! However, if you aren’t a fan of tech and want something easier to use then the K-Elite may be your best option. Determining this is going to be largely based on your personal preferences. If you want a Keurig that can offer you more control than some other models, the K575 is a great option. The touchscreen keeps it up to date, easy to use and allows you to decide the size, temperature and even strength of your drink. You’ll feel like a barista in your own home with that level of control! However, if you’re looking for more of a balance between control and ease of use then the K-Elite can be a great choice as well. Not everyone feels the need to set the exact temperature on their resulting drink! The K-Elite does still allow you to give the strength a boost when needed, which is all that some customers may want. You really can’t go wrong with either of these devices!